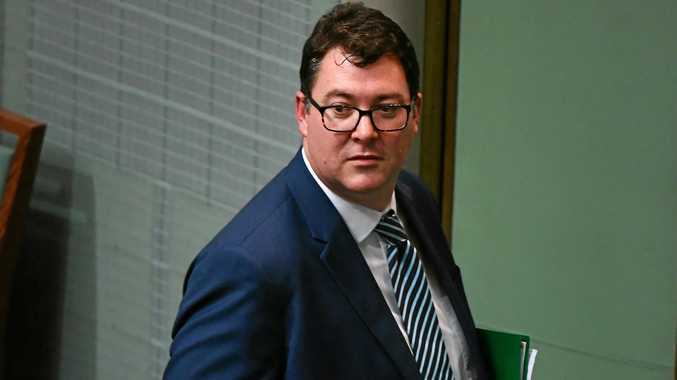 FEDERAL Member for Dawson George Christensen has reignited the campaign to see a new state created in the north of Queensland. The outspoken MP took to Facebook over the weekend, barracking for the change and linking to the page 'Yes to a North Queensland State'. Mr Christensen said he has no involvement in that venture, but backs the push by the several-hundred strong group to see the change happen. "I believe in decentralisation. Bringing government closer to the people so they have more control over it. We've got millions of people on the south-east corner of Queensland, the government closest to them - so we're always going to be hamstrung," he said. "I'm also a big believer in not having Canberra run everything. It's so far remote from cities like Mackay. "A state government that was for, say, Gladstone and above it's going to be much more in touch with the needs and wants of all the people living in the area." Mr Christensen described the State Government as "dominated by Brisbane interests". He also raised the historic separation of Queensland from New South Wales on June 6, 1859 to establish the new colony of Queensland. "At one point in time, we were run by a government ... out of Sydney. We were part of New South Wales," he said. "You had people saying 'well, this is nonsense'. We should be able to represent ourselves. And eventually they did. "The arguments people put up against a north Queensland state ... would've been the same arguments people put up to keep us with New South Wales." Mr Christensen believes a new north Queensland state would see greater wealth from mining, agricultural and other industries kept securely in the upper reaches of Queensland. "That would mean a greater spend on infrastructure locally, instead of feeling "ripped off" over "massive inner city tunnels and constructions," Mr Christensen said. When the discussion turned to whether there's a real possibility a new north Queensland state will be created, Mr Christensen indicated he believes it will come to pass as public sentiment builds.